Itumeleng Khune macking while on duty? 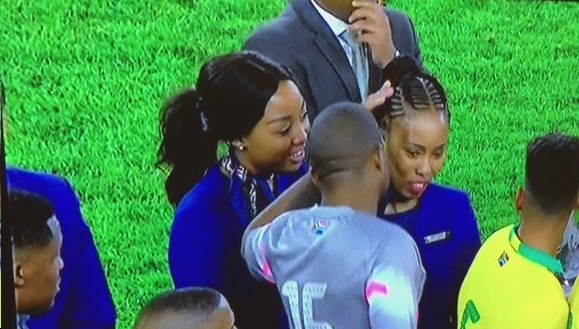 This because the Bafana Bafana goal minder was caught on camera whispering sweet nothings into the ear of a SAA model after Bafana’s game against Egypt at Orlando Stadium on Tuesday night. Khune is seen saying something to the lady, while Clayton Daniels nudges him to pay attention. What do you think Khune said?